At age 21, John H. Agee organized Adams Telephone Co. in 1904. This company merged with Johnson County Home Telephone Co., and was later purchased by Lincoln Telephone and Telegraph Co. 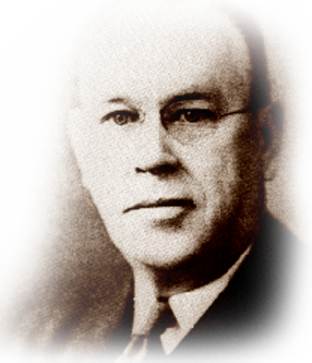 In 1912, Agee received a law degree from the University of Nebraska and practiced law, primarily for utility companies. He was named general manager and director, Lincoln Telephone and Telegraph Co. in 1926, and vice president and general manager, 1932-48. He was vice president and director of Continental Telephone Co. of St. Paul Minnesota from 1927 to 1929. He also was instrumental in founding Nebraska Continental Telephone Co. and other operating properties. These activities included chairman of the board, Securities Acceptance Corporation; chairman of the board, Central Casualty Company; director, Peninular Telephone Company; national counselor, Commerce Department of the United States; and president, Independent Telephone Pioneer Association. Also he served on the USITA executive committee, 1930-48. He remained active in business and civic affairs after retirement. He died in 1959.